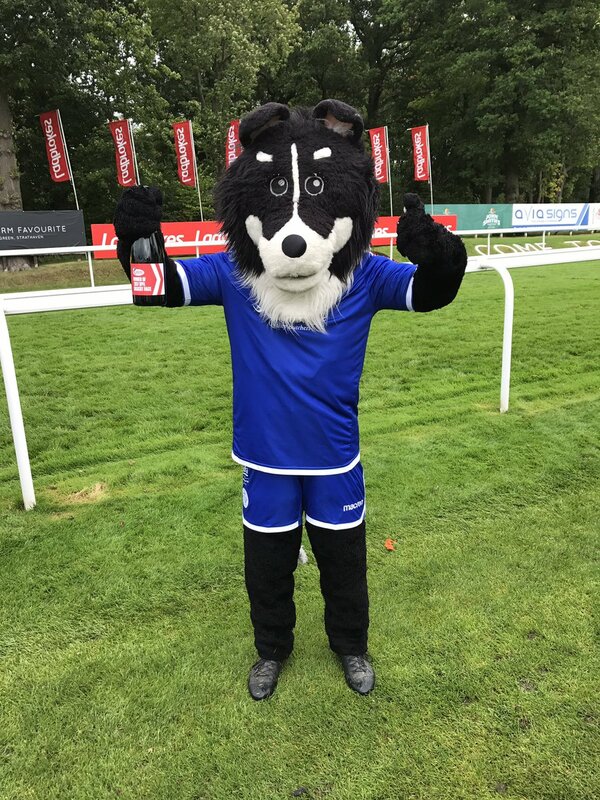 Congratulations to our very own 'Dougie the Doonhamer' who this afternoon defeated his rivals to win the 2017 Ladbrokes SPFL Mascot Race at Hamilton Park Racecourse. After all the hours practicing rounding up sheep Dougie held off Stenhousemuir's Wally the Warrior and Celtic's Hoopy the Huddle Hound to take the title. Dougie had been second to Morton's Cappie the Cat last season but Cappie was unable to defend his title due to what the Morton website referred to as "feline influenza". We wonder if he wasn't just being a "scaredy cat"? Congratulations to Commercial & Community Officer Danny Armstrong and everyone else involved.